Live from Kitakami: the potential future host region of the ILC continues to show strong support for the project – we present two recent examples. 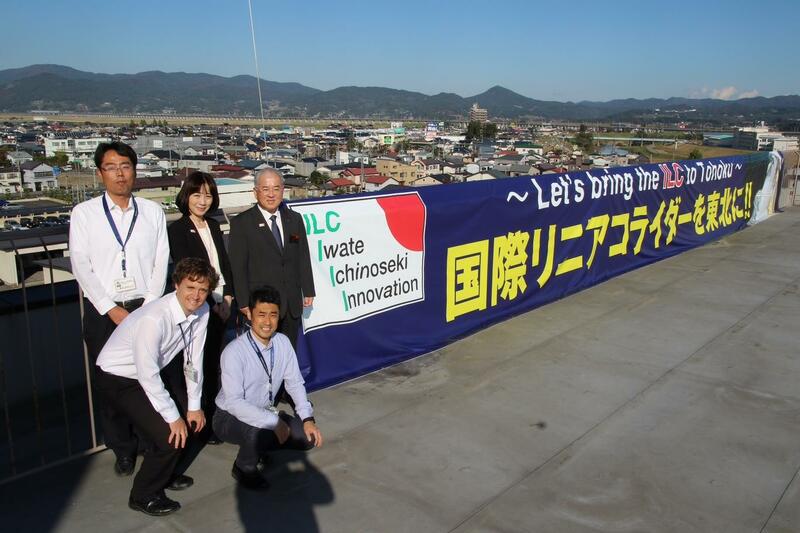 Ichinoseki City in the Tohoku region of Japan has made a new ILC banner for its city office. This photo is of Mayor Osamu Katsube with staff from the ILC Promotion Division, up on the roof from which the banner will be hung down the front wall of the building. The new colorful banner features an image of the ILC tunnel, “Let’s bring the ILC to Tohoku” and a similar message in Japanese, and on the left is Ichinoseki’s ILC logo, which has had a fourth “I” – for Innovation – added to it. 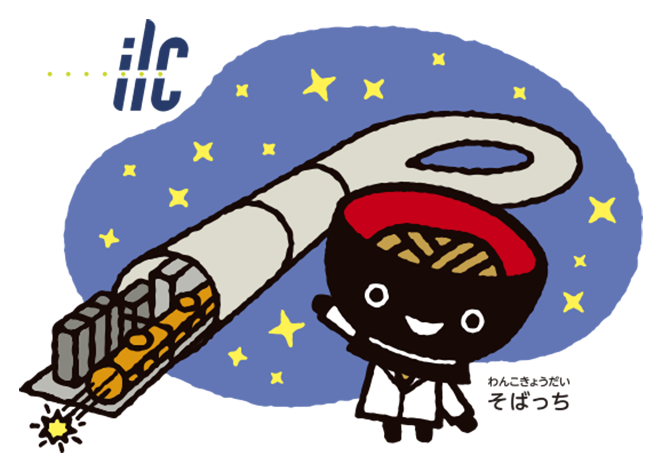 And one of the mascots of Iwate Prefecture is collaborating with the ILC this year! Many local governments create mascots to increase name recognition and thus promote tourism, and are a very popular PR technique in Japan. Usually, local animals or specialty products are used as a motif for the character. For Iwate, there are five mascots called Wanko Kyodai, the bowl brothers and sisters, inspired by traditional lacquerware, a specialty of Iwate. Wanko means bowl, and Kyodai means brothers and sisters. Sobacchi is the one presenting the ILC. And yes, Sobacchi has brothers: Kokucchi, Tofucchi, Omocchi, and Unicchi. Their names come from the type of Iwate food inside of their bowls: Soba: buckwheat noodle, Koku: mixed grains, Tofu: tofu (soy bean curd), Mochi: rice cake, and Uni: sea urchin. “The ILC is a bit difficult for many people to get into. 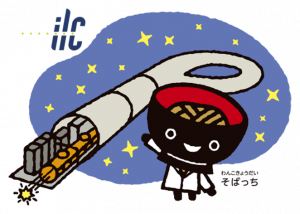 To make the ILC more approachable and fun, we created this ILC Sobacchi character,” explained Takashi Harako from Iwate Prefecture International Linear Collider Promotion Council. The council is planning to produce promotional goods and brochures using the ILC-themed Sobacchi.